Bookings of the new Maruti Suzuki Swift began in late January 2018 and the carmaker has already received over 40,000 orders. The car, however, currently comes with a waiting period of 6-8 weeks. The new Maruti Suzuki Swift has finally gone on sale in India at a starting price of ₹ 4.99 lakh (ex-showroom, Delhi). Deliveries for the car has commenced across India from today and from what we have been told, the company has already received over 40,000 bookings from the time Maruti Suzuki started the pre-bookings in January 2018. In fact, we have been told that the new Maruti Suzuki Swift already has a waiting period of 6 to 8 weeks. While deliveries will start from today, the company is confident that the bookings will increase in the coming days. 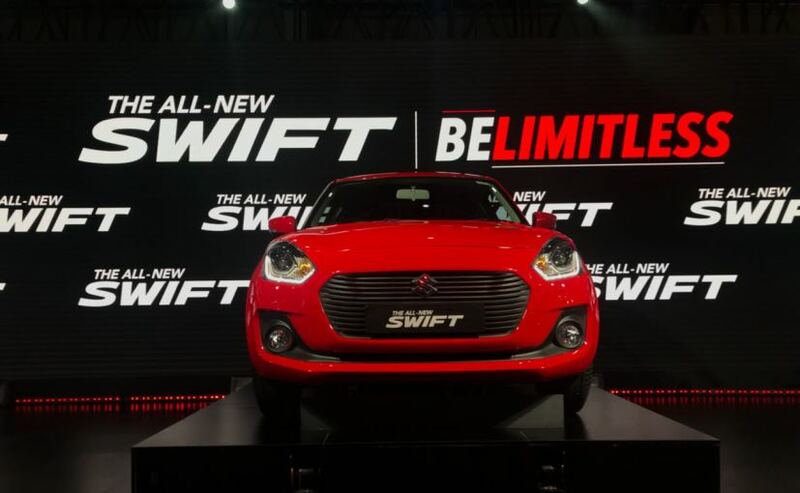 In fact, until last month, Maruti Suzuki was selling about 15,000 units of the old-generation Swift. The new generation is almost ₹ 20,000 more expensive (base model) and comes with better features, improved performance and it is more fuel efficient than the outgoing model. The all new Maruti Suzuki Swift comes in two engine options, two gearboxes, four trim levels and 12 variants to choose from. The prices range from ₹ 4.99 lakh for the LXI variant going up to ₹ 8.29 lakh for the top-of-the-line ZDI+ variant. As of now the AMT unit or as Maruti calls it, the Auto Gear Shift (AGS) will be offered as an option with the mid-level trims - VXI/VDI and ZXI/ZDI only, while the 5-speed manual gearbox comes as standard. Engine options remain the same 1.2-litre petrol motor and the 1.3-litre oil burner but, Maruti has worked upon the engine to make them more efficient at 22 kmpl and 28.4 kmpl, respectively. The company has also introduced a Prime Lucent Orange colour for the car while retaining the previous colour palette. The top-end model ZXI+ and ZDI+ will come with features like - a touchscreen infotainment system with Apple CarPlay and Android Auto, projector headlamps, LED daytime running lights, and diamond cut alloy wheels, which can be seen in one of these cars. The car gets dual airbags, ABS with EBD and ISOFIX child seat mounts as standard across the variant list.